UPDATE: BBC to launch paid-for iPlayer iPad app in US | What Hi-Fi? BBC director general Mark Thompson has today confirmed that the Corporation's forthcoming international iPlayer iPad app will cost less than $10 a month (around £6) when it launches later this year. Speaking at the FT Digital Media & Broadcasting conference in London, Thompson said the global version of the corporation's online catch-up service for iPads will launch "definitely this year", adding that it will cost, "a small number of dollars per month, definitely fewer than 10". "We're exploring internationally what the right pricing and models are ... the most important thing is the consumer pricing is right," he added. The BBC is working on a version of its iPlayer to be launched in the US. It will appear in the form of a paid-for iPad application. The FT.com reports that the 'Global iPlayer', which is in pilot form until it passes scrutiny by the BBC Trust, will only be available outside the UK, where the broadcaster is allowed to charge for access to its content. 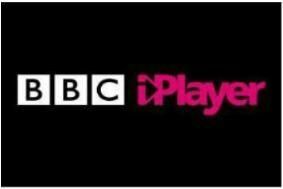 BBC Worldwide, the commercial arm of the publicly-funded broadcaster, said that it would make the iPlayer available to iPad owners in certain target markets in the middle of next year. Luke Bradley-Jones, managing director of BBC.com, said there would be a monthly subscription and that the US would be among the first markets to get access to the iPlayer app, with a decision on where the iPlayer app would launch first to be made in the new year. Mr Bradley-Jones added that the iPad “provides such potential to develop a truly interactive video-on-demand ser­vice, and also maps pretty nicely on to our core target audience for the ­service”. The BBC launched its first iPhone apps earlier this year after the BBC Trust gave the all-clear despute commercial rivals' concerns over their market impact.